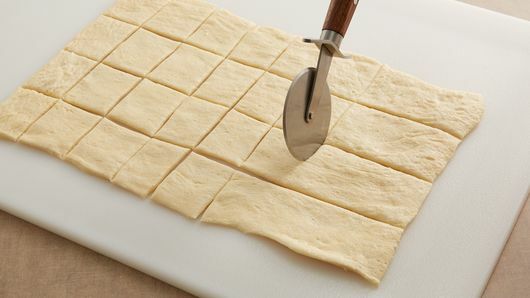 Unroll dough, and cut lengthwise into 4 strips, then cut crosswise into 8 rows, making 32 squares. 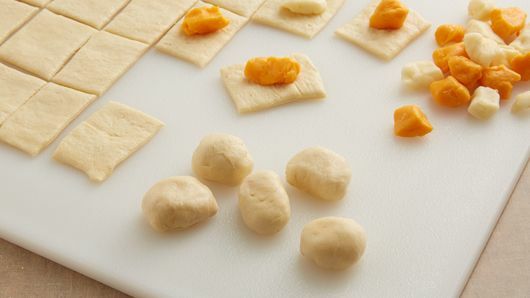 Roll piece of dough around each cheese curd (no larger than 1 inch); stretch dough, and press to seal edges and completely cover cheese curd. 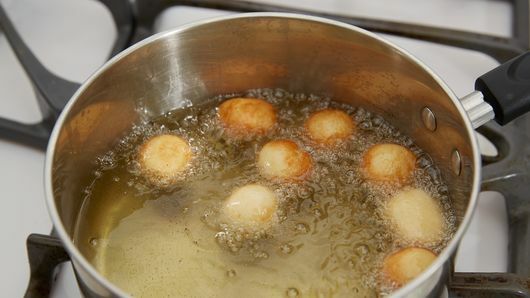 Fry cheese curds 8 at a time, about 1 minute, turning occasionally until dough is completely cooked through and deep golden brown. Drain on paper towels, and keep warm. Thread 4 cheese curds on each wooden skewer. Serve immediately with condiments. 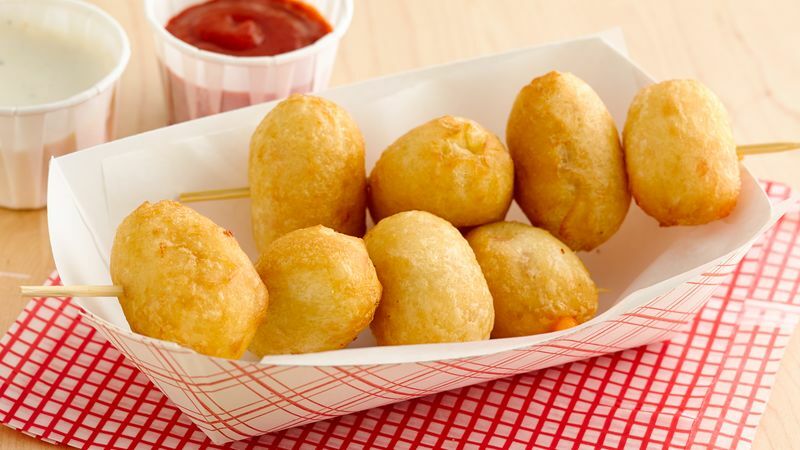 Customize your cheese curds by serving with various dippers--spicy, sweet or both! Can't find cheese curds in your grocery store? Use mozzarella sticks instead OR your favorite variety of cheese stick, such as Colby Jack, pepper Jack, Cheddar.